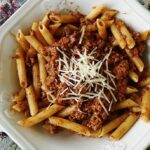 Pasta in Bolognese has always been a favorite around here and I love to play around with different ways to make sauce. Bolognese, in case you’re wondering, is a meat sauce that originated from, you guessed it, Bologna, Italy. In Italy it’s a type of ragu. So no, the Ragu brand pasta sauce you see in the stores didn’t get its name from some marketing guru. An important thing to note is that a Bolognese sauce is a meat sauce complimented by tomatoes. It is not a tomato sauce or marinara with meat added. Big difference. 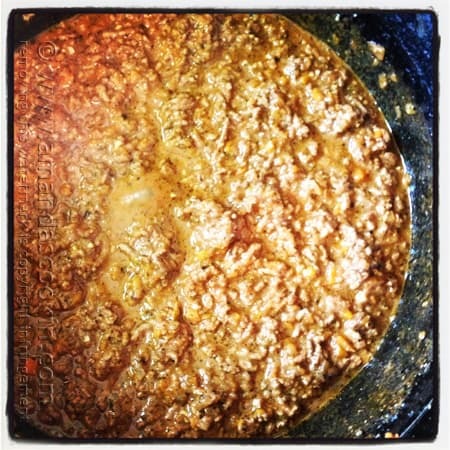 A Bolognese starts with cooking vegetables and the meat, adding liquid to meld flavors, and simmering to finish it off. if you’re looking for some delicious ground beef dinner ideas you’ll definitely want to add this one to your arsenal. My husband has Italian roots, but unfortunately those in the family that were from the old country are now gone and no longer available for recipe consultations. Therefore, I must wing it. I think I did a pretty good job though. There are lots of different sauces out there, you can put your own touches on it and make it yours. 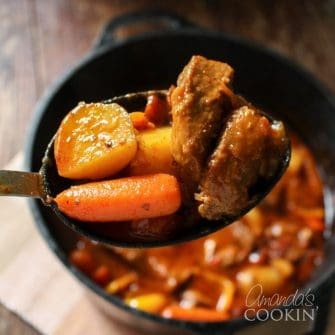 We loved this version and it makes a hearty weeknight meal. Save yourself some time and use a food processor to do all the chopping. If you don’t use your food processor very often then you’ll want to check out my post called The Food Processor: 13 Ways to Use It and 20 Recipes to Prove It. A good simmer with little bubbles is always a good thing. Classic Bolognese – Emeril uses heavy cream, pancetta and a combination of veal and ground chuck in this sauce. 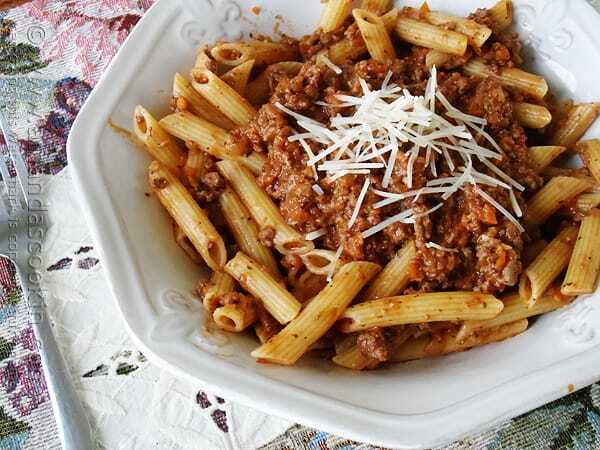 Ryan’s Bolognese Sauce – The Pioneer Woman shares Pastor Ryan’s recipe, which uses red onion and in addition to tomato paste, a couple cans of whole tomatoes and some Worcestershire sauce. 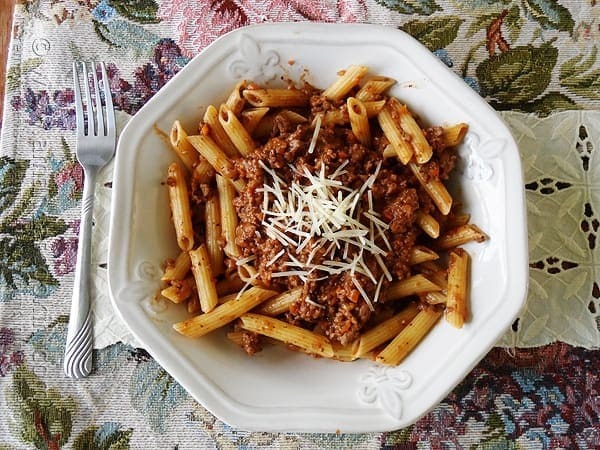 Authentic Bolognese Sauce – In this recipe the author explains that the Academia Italiana della Cucina says that a classic Bolognese recipe must contain onions, celery, carrots, pancetta, ground beef, tomatoes, milk and white wine. Mine has red wine (I was out of white, dang it) and no pancetta but it was still delicious! Have you seen the price of pancetta? Eek. Heat olive oil in a Dutch oven over medium heat. Process the onion, celery and carrots through food processor to chop fine. Saute processed vegetables in oil until tender, about 6-8 minutes. Push the sautéed vegetables to the edges of the pan and add the ground beef in the center. Stirring occasionally, brown the meat until no pink remains. Add the oregano, marjoram and basil and continue cooking for a minute or two, until herbs are fragrant. Add the wine, broth, tomato paste, milk, and garlic. Stir to combine and bring to a gentle boil. Season with salt and pepper to taste. Turn heat down to low and simmer, uncovered, for 1 hour, stirring occasionally. Cook and drain pasta according to package directions, reserving 1 cup of the pasta water. 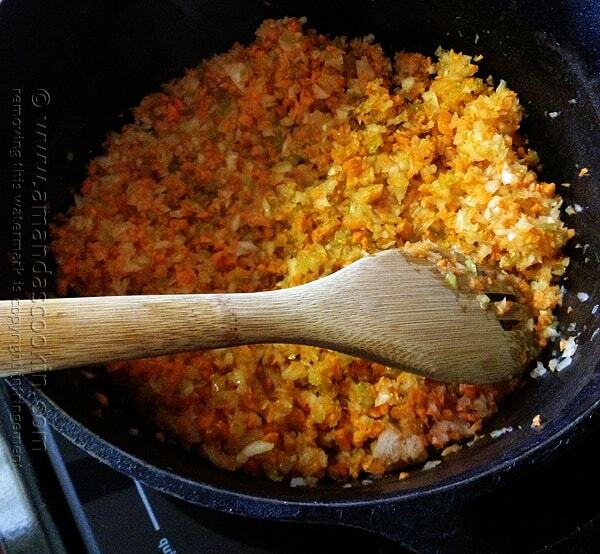 Add half of the Bolognese to the drained pasta and stir to coat. Use reserved pasta water only to thin sauce if it's too pasty, otherwise discard. Serve in large pasta bowl or individual bowl and top with additional Bolognese sauce. Garnish with freshly grated Parmesan cheese. i’ve made this twice, it’s delicious! Awesome! So glad you like it Susan, thank you! Mmm, ultimate comfort food! This looks so delicious. Definitely need to try it for dinner soon. Thanks Rachel, it’s one of our favorites! I love a good Bolognese! It looks wonderful Amanda! 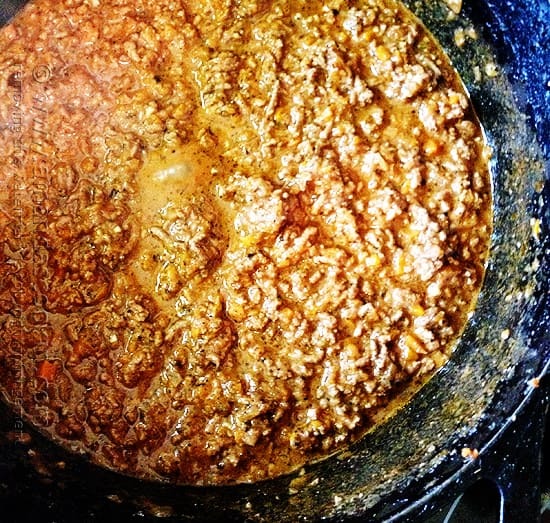 My boys love a good Bolognese – this looks like pure comfort food Amanda! Love those clicks… I make similar with turkey meat, but had never thought of topping with pasta. Since we don’t eat beef, I guess substituting with any other meat should work? Yes, I’m sure it would be great with other ground meats! Talk about a classic! Beautiful photos! 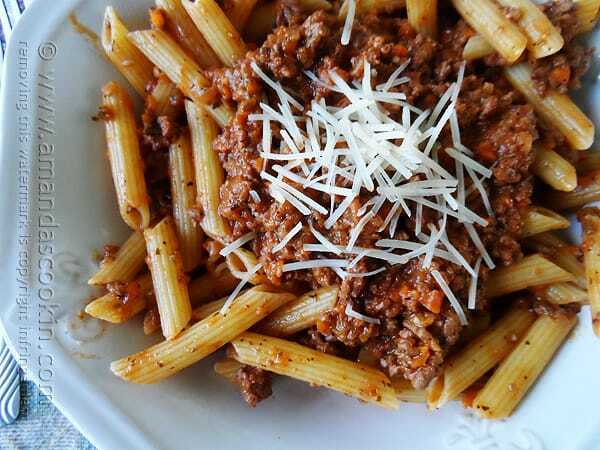 I haven’t made Bolognese in years, thanks for bringing it to my attention, with the weather cooling down, it’s a great option for a wonderful dinner!